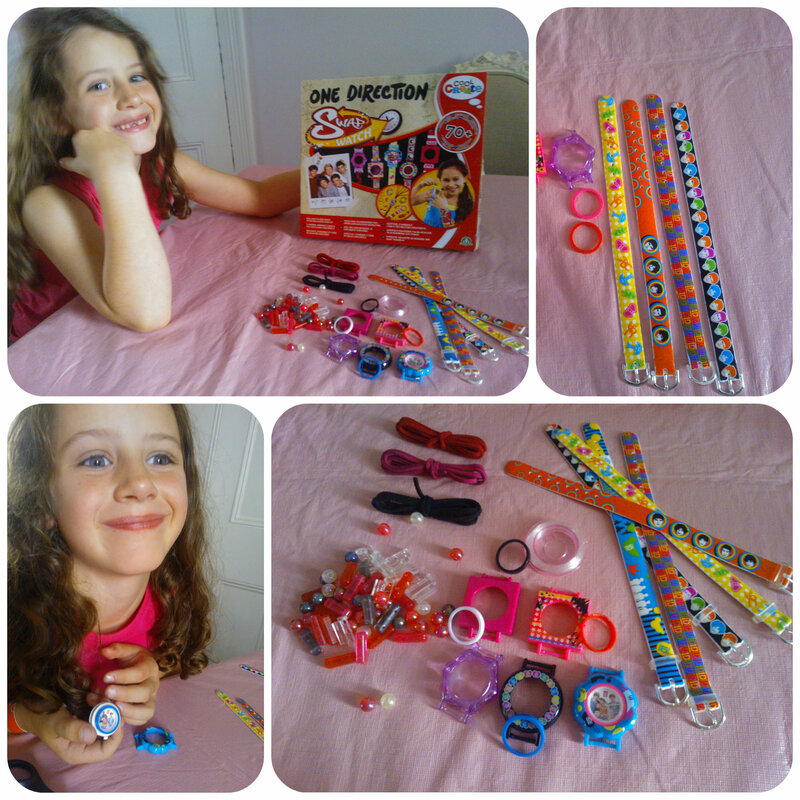 Cool Create One Direction Swap Watch is a great craft kit for One Direction fans but also a great little set to make your own watches and be creative. With lots of pieces inside we couldn’t wait to get started and get making. 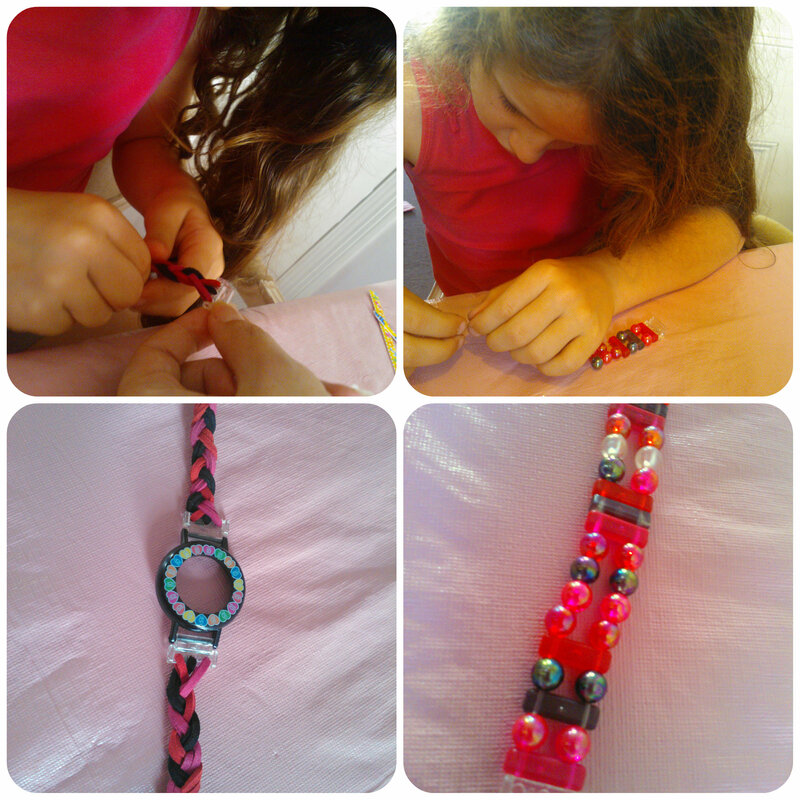 Miss M was excited when she saw all the pieces and couldn’t wait to start making her own watches. There is one watch face which you can make different straps for and then interchange them when you wish. There are ready made straps and watch surrounds that you can interchange easily to make different design watchs, but Miss M’s favourite straps were the ones she made herself. There three coloured lengths of cord which can be plaited to make a strap. Also there is a bag of beads which can be threaded onto elasticated thread to make a stretchy watch strap. Miss M loved picking the coloured beads to make a pattern on her strap. These two straps are a great little activity that Miss M loved doing and kept her occupied. Children love mix and match watches and it’s great to have a different choice each morning, just pop out the watch face and put it into the strap that you want to wear. 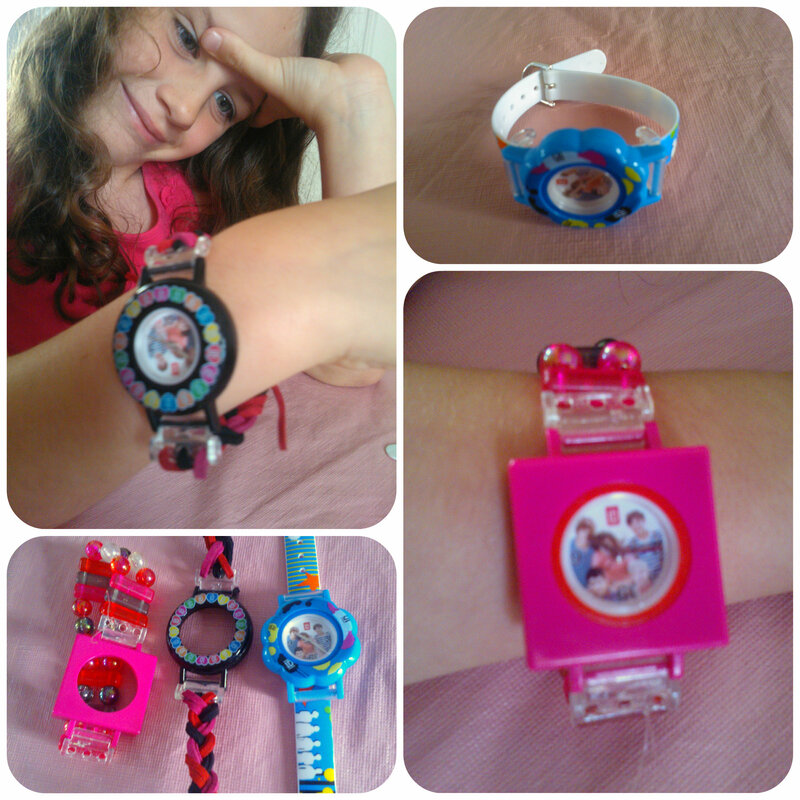 Miss M is pleased with all her new watches and loves the fact that she made the straps herself. Her favourite is the beaded one which I think looks lovely too. 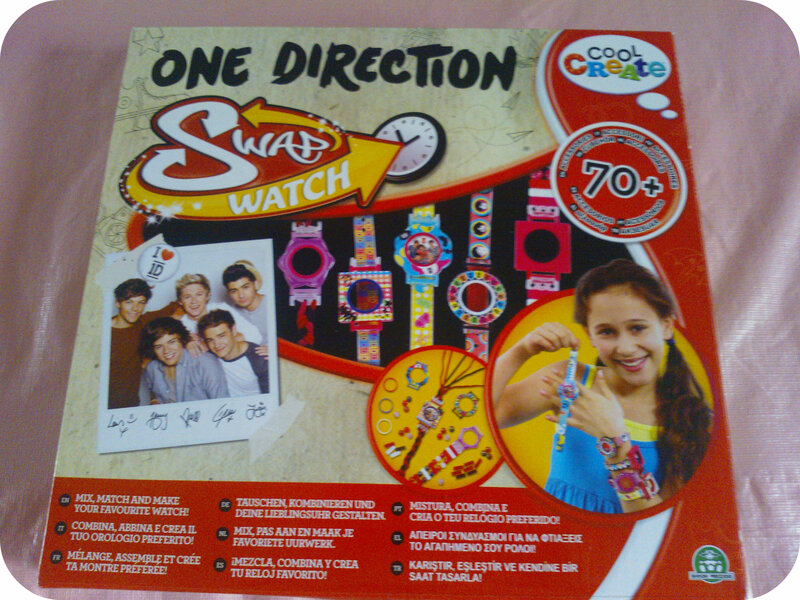 A must have craft and watch set for any One Direction fan! All reviews are my own and my family’s opinions and we received the One Direction watch swap set in order to write the review.